Finally I got to wear one more time this green coat before I put it away until next winter. 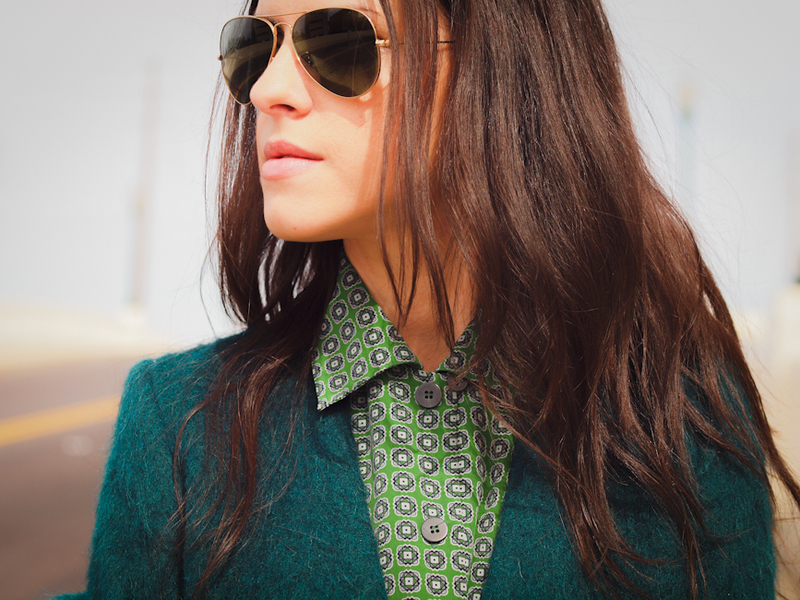 This outfit was all about shades of green + playful accessories in a wonderful sunny day! Thank you for your visit and have a great weekend! I like so much the different shades of green! And of course, great shoes! Love the look and the bag is just so cute!! 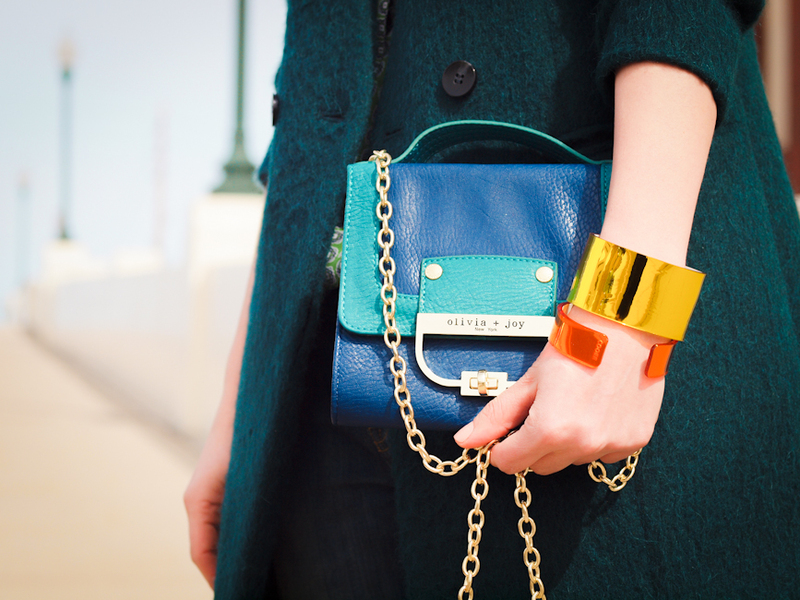 In love with your bag and coat! I like your outfit, color is awesome! 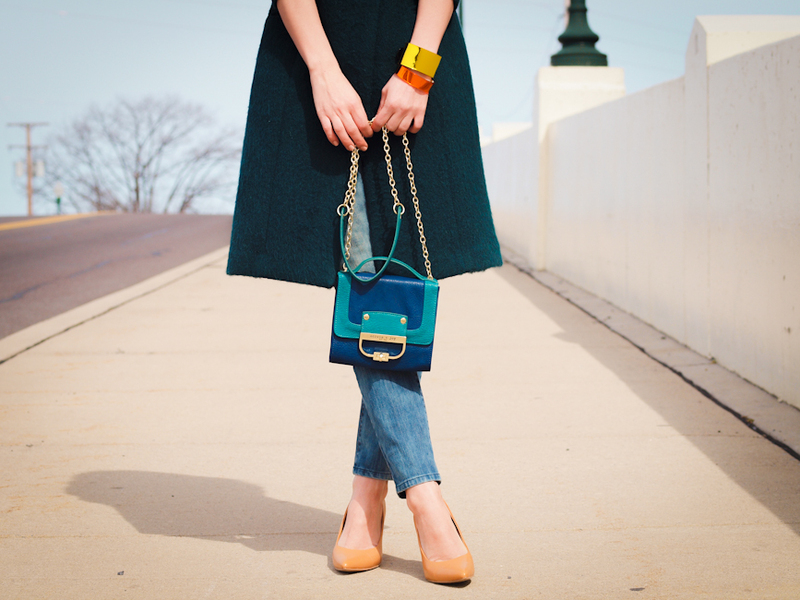 Love this petrol colored coat. It looks so amazing with turquoise and blue bag! Love this outfit! Amazing bag! Love these colors, each piece looks great here! Gorgeous! I love the shades of green and just adding one bright colour is perfect. your coat and bag are so pretty, love this look. Beautiful look ! Love so much your style ! You look great! Love this outfit!!! I’m seriously so envious of your coat collection and I’m loving all of the shaded of green! The bag is really beautiful! Amazing outfit! How perfectly you’ve combined all the pieces! Love this coat – great outfit! Green is so pretty and you definitely found a great forest green coat. I’m glad I get to see it one more time before you put it away till next winter. gorgeous coat! amazing look like always! 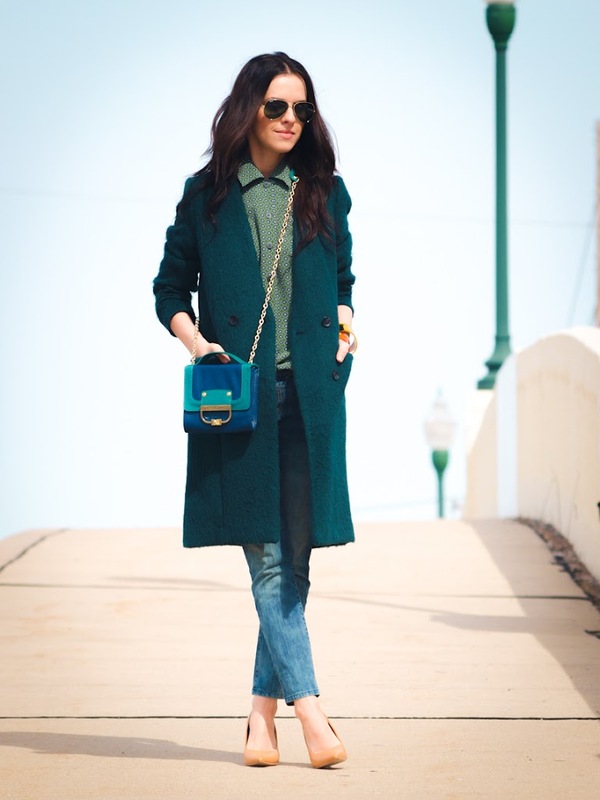 Dear veronica, I think we agree with you on coats and bags addiction;) I adore both your dark green coat and fabulous bag. that emerald green colour is beyond beautiful! have a great, happy Easter dear! That coat is so chic! I love your jewelry too. Forest green shades look fab on you lovely!